Providing you the best range of tropical dehumidifier with effective & timely delivery. 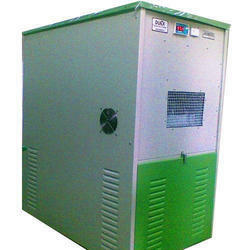 We are leading manufacturer and exporter of Tropical Dehumidifier and our product is made up of good quality. Unmatchable quality of Tropical Dehumidifier is offered by us to customers in wide range as per the requirements of the clients. This Tropical Dehumidifier is extensively used in the process of air dehumidification or drying, to dehumidify the ventilation air before supplying and to study the performance analyses of adiabatic-dehumidifier for the tropical region of Malaysia. Looking for Tropical Dehumidifier ?